Intellectual property blog – it’s a puzzle! On 10 November 2016 the inventors of the Rubik’s Cube lost their trade mark battle. 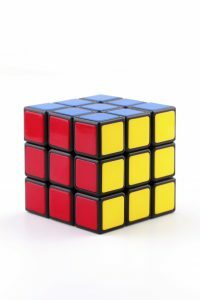 However, all is not lost, as intellectual property is a puzzle itself and like Rubik’s Cube. Any business will need to piece together the jigsaw of different intellectual property protection.Then, they will be able to benefit from the protection it can offer. Although intellectual property is often viewed as a key asset, there is no legal meaning of “intellectual property rights”. Instead, this is the term used to describe a range of rights that can exist. Most notably, many products or outputs may not just have one type of intellectual property right in them. For example, Rubik’s Cube has lost its trade mark case in relation to the shape of the 3D conundrum. However, it can still benefit from other intellectual property rights. Such as other trade marks (including in the name) and copyright. • what you have to do to get the protection of the relevant intellectual property right– generally this happens in two ways; there can be automatic protection where the intellectual property right owner’s rights simply exist (e.g. copyright) and those that have to be registered (e.g. registered design rights, patents, etc). However our Factsheet “Protecting IPRs in software” goes into more detail about the multiple layers of intellectual property protection right that can be found in software. Get in touch if you’d like us to send you a copy.